At the Autosport International show in Birmingham, England, Jaguar announced its return to Grand Touring-style racing with the F-Type SVR GT4. The two cars built will compete in the British GT Championship in the GT4 class. Former armed services members will drive the car in the championship as part of the Invictus Games Foundation partnership. The Invictus Games is an international sporting event for servicemen and servicewomen, both veterans and active duty, according to the Jaguar press release. Superdry clothing co-founder James Holder, an avid racer, sought the tie-in with the Invictus group after watching the Invictus Games in Orlando in 2016. Holder commissioned the GT4 version from Jaguar’s Special Vehicle Operations (SVO) — who build the roadgoing 575-horsepower F-Type SVR— to provide a platform for former armed forces members to compete in motorsport. Dailysportscar.com reported about this in mid-2017 with most of the details already rumored. Holder provided funding for the project. The release from Jaguar provided few technical details on the engine. However, the new racing F-Type should carry the hallmarks of GT4-class racing. That includes a large rear wing and sequential racing gearbox. The typical power output in GT4 racing is considerably less than the stock F-Type SVR’s 575 horsepower. Pirelli World Challenge lists output for the GT4 cars in its series as between 300 and 400 horsepower. GT4 regulations list that the “make and type of engine used must remain original, unless by a waiver.” That fails to clear up if Jaguar opted for a lower-output engine other than the supercharged 5.0-liter from the SVR. The F-Type SVR GT4 becomes the first GT car built by Jaguar since the XJ220s in the 1990s. 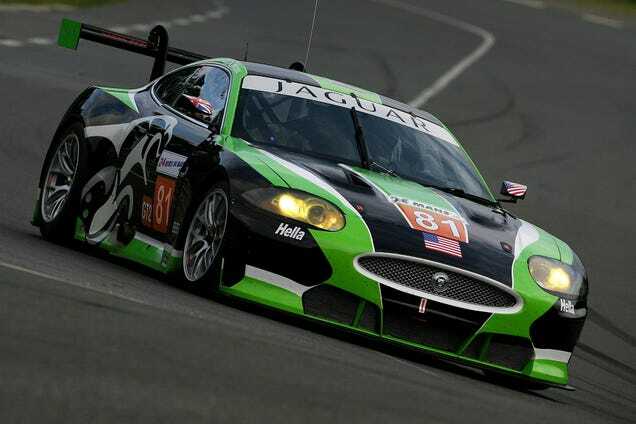 Other Jaguar GT cars have races, although they’ve been built and prepared by privateer shops like Rocketsports Racing in the United States and Emil Frey Racing in Germany.